Dexter: Looking for a TV series that will keep you on the edge of your seat? Well then, Dexter is the right show for you. 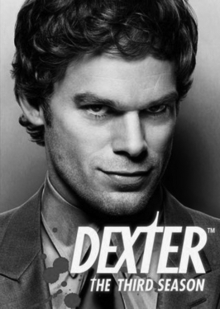 Dexter, a Miami-based blood splatter expert, is a serial killer that only kills bad people. Ironically, he works for the Miami Police Department, however, not one of his co-workers suspect a thing. He does a good job of cleaning up behind him and not leaving a trail due to a code he was taught by his adoptive father. The people around him have no idea about his double life, but just how long can Dexter hide his secret lifestyle before he gets messy and people start to catch on. 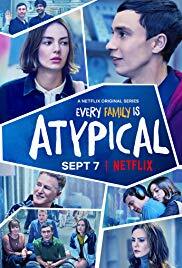 Atypical: Sam, a teenager on the autism spectrum, wants to start dating, but just does not know where to start. He confides in his family, but they think he is not ready. Sam wants to be more independent and is able to start dating a girl named Paige, but still, he struggles with how to treat her and how to express his feelings. See as Sam breaks barriers and perseveres in a neurotypical world in this heartfelt comedy Netflix Original. 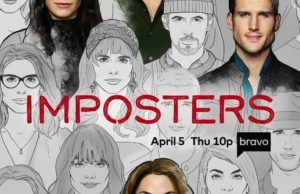 Imposter: Con artist Maddie, is not just another pretty face. Over the years, she has used different identities to marry people, specifically, rich people. She pretends to be in love and when the “assignment” is over, she leaves the person and takes everything with her, including their hearts, and leaves them with a video message. This all may come to a stop, when all her past lovers get together to find her while she is on another “assignment”. This dark comedy has the audience excited and waiting for her next move. 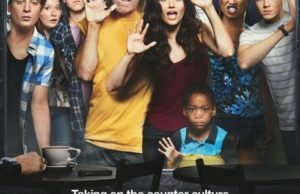 Shameless: With seven people living in one household, it’s safe to say things are a little hectic. When you have an alcoholic as a father, Frank, who does not care much about anything and an older sister, Fiona, who is a little unhinged as your motherly figure, things are far from normal. Watch as Fiona juggles work, a social life, and raising five kids by herself. It is an emotional roller coaster, to say the least, but the Gallagher’s always find a way through their hardships, together. This American comedy will have you dying of laughter and always wanting more.